What natural resource is disapprearing and needs to be saved? Home Writing	What natural resource is disapprearing and needs to be saved? 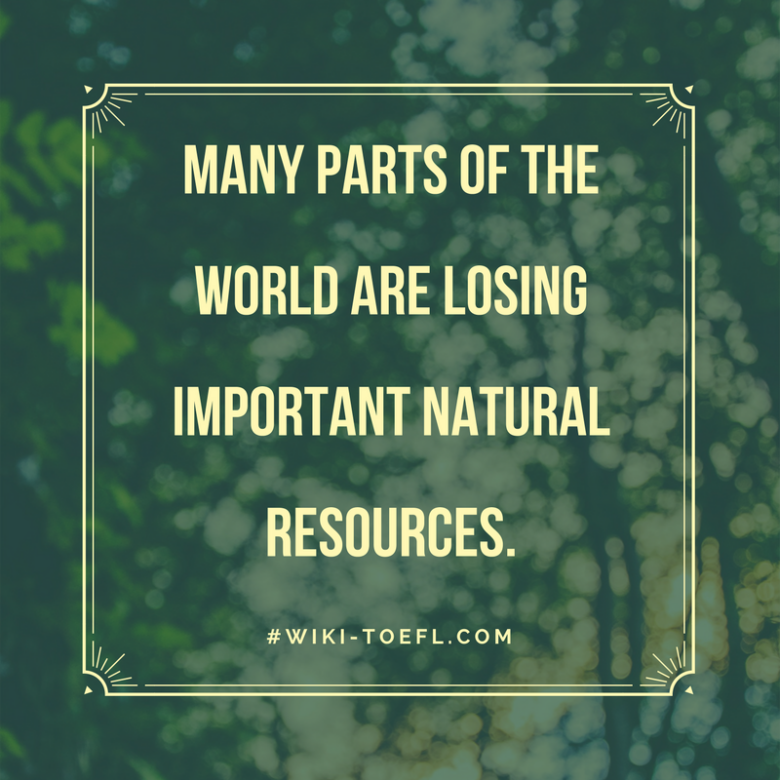 Many parts of the world are losing important natural resources, such as forests, animals, or clean water. Choose one resource that is disappearing and explain why it needs to be saved . Do you agree with the statement that a zoo has no useful purpose? Toefl writing: Do you think only people who earn much money are successful? Toefl writing: Children spend great amount of time on sports. Pros and Cons? Do you think children should be required to help with household tasks? Toefl ibt writing: Indoor and Outdoor activities, which one do you prefer?